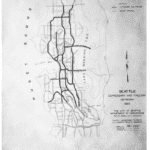 It has been fifty years since a group of Seattle citizens successfully fought a major freeway planned through their neighborhood. What did the fight look like? And what can it tell us about activism today?